If you are searching for Morris county movers, look no further. If you are searching for Chatham movers, look no further. White Glove Moving has been consistently rated as one of the top moving companies in Chatham. 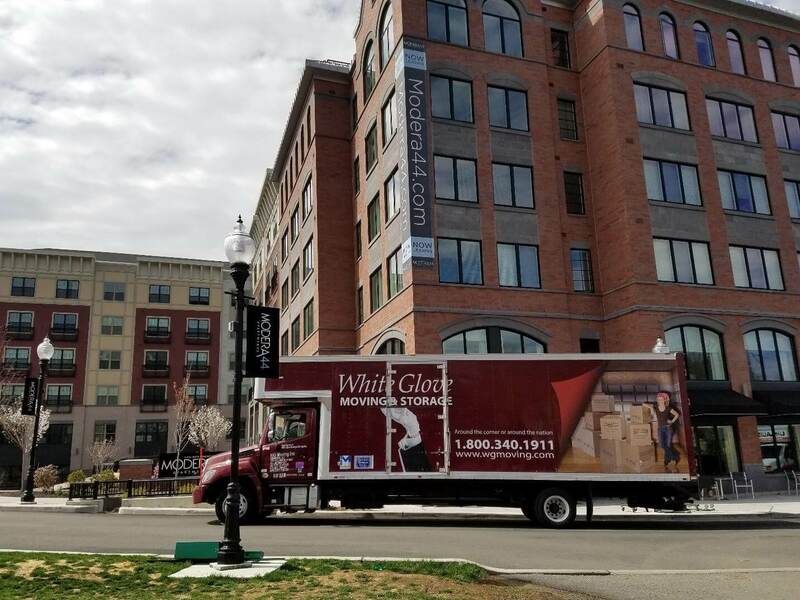 Whether you need movers in Chatham to move from one part of town to another or across the country, White Glove can provide you with a tailor-fitted move plan to ensure all of your moving needs are met. We offer full-service packing and self-packing options that will fit any budget and our movers are some of the most highly trained and skilled in the industry. Please call us at 1-800-340-1911. One of our friendly, knowledgeable, and professional sales staff members would be happy to speak with you to further explain just why we should be your Chatham movers. We offer free in-home estimates that will leave you with an accurate quote for your move. We are licensed to perform intrastate moves within the states of NYC and New Jersey, and can relocate our customers to any location in the continental United States. 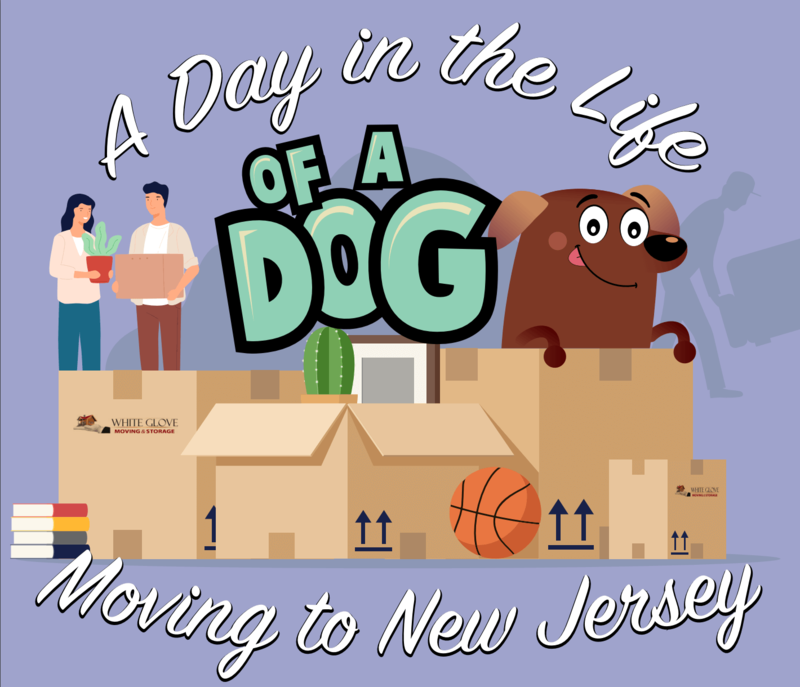 In addition to tight scheduling, seemingly never-end ing logistics and upheaval – moving can be an emotional and exhausting experience. As one of New Jersey’s largest, family-owned and operated moving companies – White Glove Moving & Storage totally gets it. When we work with clients moving to and from Chatham, we treat them – as well as their furnishings and belongings – with white gloves. We know, without a doubt, that our employees’ continued dedication and commitment to customer satisfaction is the reason why our moving company continues to be a top recommendation on Yelp!, Angie’s List, the BBB and other online review sites. Don’t let yourself or your life be taken over by your move. Instead, let the professionals take over the moving for you so it impacts your day-to-day life as minimally as possible. 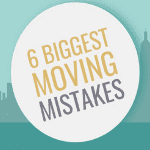 Let us do as much as we can to make this the most stress-free and efficient move you’ve ever experienced. From residential homes to large corporate relocations – the White Glove team has you covered. Contact us online to obtain a free, FIRM moving quote, or you can call us directly to learn more about our full-service moving options. 1-800-340-1911. That’s right! Our estimates are 100% firm, so you will never receive a final bill with hidden fees or surprise charges. Whether you’re moving across several blocks or across several states, your furnishings and belongings deserve to be packed with care and precision. It only takes a single fall or shift in the truck bed for one or more of your precious items to suffer irreparable damage. For this reason, we use the same level of attention and best-practices when packing, loading and unloading our clients’ furniture, breakables, collectibles, and furnishings – whether they’re moving down the street or across the country. We are happy to provide full-service quotes for both local moves or long-distance relocations, which means we do all the work for you. OR, you can mix-and-match our moving services to suit your schedule, plan and budget. Our moving services include: Let someone else do the packing. Packing is such a laborious chore. While we understand that some people prefer to pack their most precious items on their own, most clients appreciate having someone else take over the reins for the rest of it. The combination of high-quality and specialty boxes, professional packing expertise, and adequate packing supplies for the entire job make this one of our most requested moving services. When we pack and load your boxes, your belongings are guaranteed to arrive safely from Point A to Point B. Access to ample supplies. There’s nothing worse than running out of crucial packing supplies at the 11thhour. There’s also nothing worse than arriving to your new home – only to find that the dishtowels and newspaper you’d hoped would work weren’t enough to protect the contents from damage. How about eliminating both of those scenarios from your moving agenda? When our estimator arrives to provide your free moving quote, we’ll go through your home with you room by room. After decades of moving experience, we know exactly how much you’ll need of all the basic moving materials, and we’ll deliver it all right to your door. Have specialty items you need to pack? We’ve got that covered too. Even if you opt not to take advantage of one of our professional packing tiers, we’ll make sure you have everything you need to pack your belongings safe and sound. Are you the proud owner of antiques, collectibles or fine art?  Specialty items deserve special attention. If you prefer to pack your everyday belongings, we understand. We do recommend, however, that you take advantage of our packing services for antiques, fine art and other valuables. These belongings require a special hand and may even require custom-built crates or boxes to ensure they’re transported safely. If you own items that are irreplaceable – whether that be market-wise or for sentimental reasons – you want to make sure they are completely protected no matter how close you may be moving. Need assistance we haven’t covered here? Please give us a call and we’ll be happy to answer your questions. 1-800-340-1911. Are you planning to move your business? Ask us about our corporate relocation packages. There isn’t a scenario we haven’t encountered and we have solutions for just about anything our clients can throw at us. White glove’s goal is to problem solve for you and to reduce your moving workload as much as we can. Contact us for a quote or to learn more about our services. 1-800-340-1911. Often, our customers are in need of storage before, during and/or after their move. Therefore, we’ve developed a range of short- and long-term storage options. These customized storage solutions can be added to or built in to any of our moving services packages. Do you need to store a larger items until you find a more permanent living space? Have you recently inherited furnishings that need to be housed until they can be picked up by other family members, sold or donated? Are you planning to take a vacation before you arrive at your final destination? We’re happy to help and we’ll make sure your belongings are stored separately until you are ready for them. Contact White Glove Moving & Storage to learn more about our storage offerings. While we’re most proud of our superior customer service, our secondary source of pride is White Glove Moving’s commitment to sustainable business practices. Moving is resource-consumptive if you’re not careful – often required the use of idling vehicles, long-distance travel in large moving trucks, copious moving supplies, etc. That’s why we’ve taken a Green approach to moving. First, in an effort to reduce our company’s fossil fuel consumption, our moving estimators visit clients in hybrid and electric vehicles. Plus, our drivers never idle our moving trucks while they are loading or unloading. The trucks that comprise our fleet are modern and routinely maintained, optimizing fuel efficiency. These simple switches saves thousands of gallons of fuel each year. Additionally, our packing supplies are made from recycle products and we use re-usable crates and permanent boxes wherever possible with our commercial moving clients. From minimizing in-office paper waste to e-invoicing and billing – we’re doing everything we can to conserve our planet’s resources. 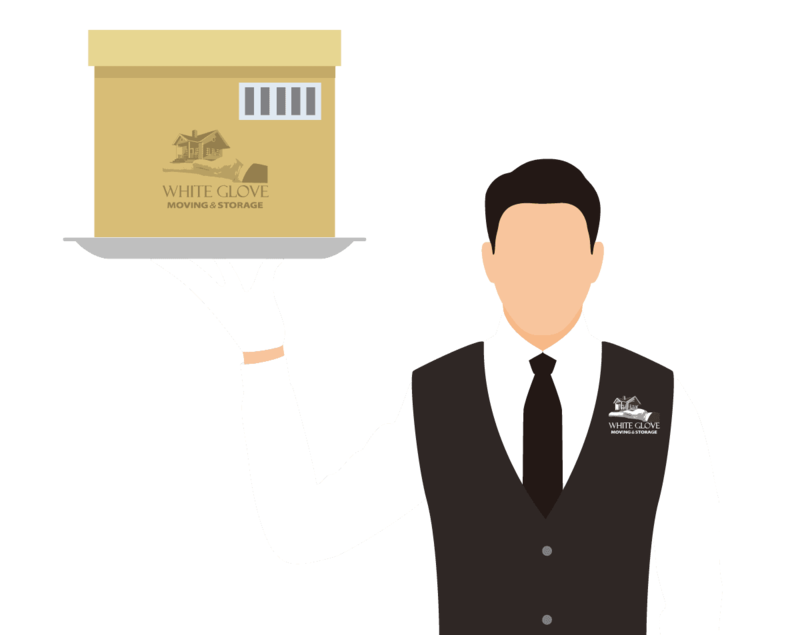 Contact White Glove Moving and Storage and learn what it’s like to move without stress and with the pure confidence that our movers will handle your household furnishings and contents with the same level of respect and care as we would our own. Moving has never been this easy! 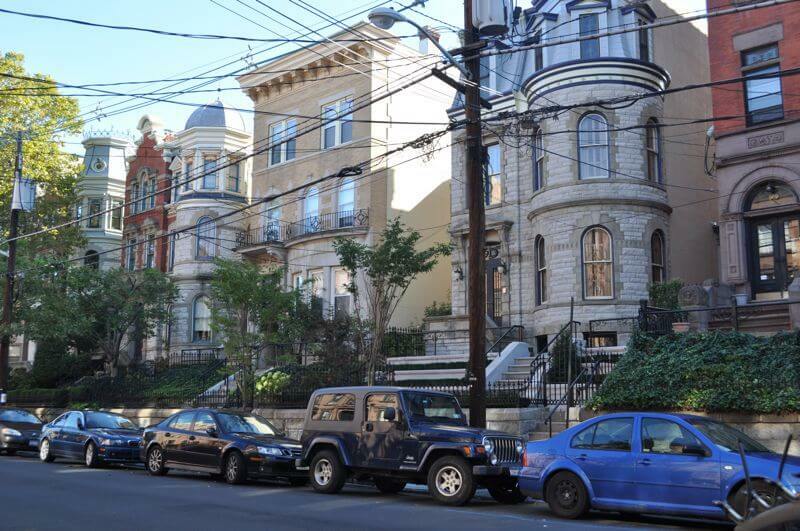 We have been helping families and business owners move into and out of locations all over New Jersey since 1988. We know these neighborhoods like we know how to stack moving boxes.